We are writing an open letter to express our surprise and disappointment with a letter you received from the Tulsa Chamber as business and energy leaders. 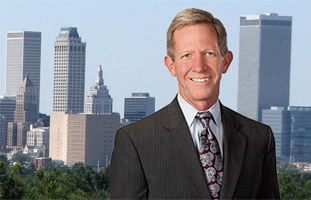 The Tulsa Chamber invited you to a fundraiser benefiting an out-of-state Democrat running for U.S. Senate. This is not only one of the most competitive races in the country, but a race that will determine the balance of power in the U.S. Senate. As business and energy leaders, you know what this Administration has done to your businesses and this economy. Instead of re-electing Democrats in the U.S. Senate, let’s take the majority, fight this President, and take our country back. It is inconceivable to us that the Tulsa Regional Chamber would want to continue to elect a Democratic majority in the US Senate. UPDATE: The Tulsa Regional Chamber Communications Department has issued the following quotes to address the controversy. Wade Edmundson, Chair of the Tulsa Regional Chamber Board and President of Commerce Bank, Oklahoma said, “The Tulsa Regional Chamber cannot and does not endorse federal candidates in any capacity. Mike Neal, as an individual citizen, certainly had my support, and that of our chair-elect Alan Armstrong of Williams, in assisting in co-hosting a political fundraiser for a candidate whom he considers a long-time, personal family friend from Louisiana. Mike has worked tirelessly for years to strengthen Tulsa’s presence and influence in the U.S. House and the U.S. Senate. It is through his efforts we have such a strong state and federal OneVoice agenda and have been able to make positive impacts for our regional businesses and industry. Take the recent WRDA bill for example, where we were able to work collaboratively with our federal delegation to advocate for key portions of the bill that benefit the Port of Catoosa and the Arkansas River development. Successes like this are not easily achieved unless the relationships are there, and Mike does a tremendous job building positive relationships with all members of Congress, and the Oklahoma Legislature, regardless of party affiliation. 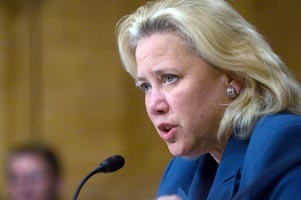 “As an organization, we pride ourselves on maintaining bipartisan relationships. 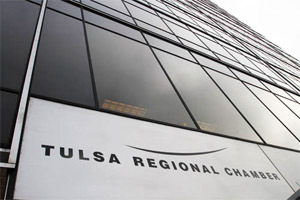 The Tulsa Regional Chamber executive committee and Board is currently reviewing our current policies surrounding staff involvement in political fundraisers, and will take the necessary steps to ensure the policy is fair to individuals who desire to exercise their personal right to support candidates for office, while maintaining the Chamber’s balanced approach to bipartisanship,” Edmundson added. 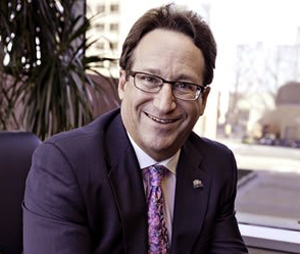 Mike Neal, president and CEO of the Tulsa Regional Chamber said, “My intentions in adding my name to a list of other Tulsans to co-host this political fundraiser were simply to help a friend, a friend who happens to be the chair of the U.S. Senate energy committee, which is a very important sector in the Tulsa regional economy. I certainly understand the tough political battles Oklahoma’s congressional delegation takes on for our state on a daily basis. I never intended to make their jobs more difficult through my support of an old friend. Upon learning of the potential negative impact my involvement with the event could potentially cause to Oklahoma’s delegation, I immediately called the Senator and her husband and withdrew my name from the list of co-hosts. “I value the Chamber’s bipartisan approach to working with elected officials at all levels of government. Our volunteer leadership at the Chamber has given me great support in building relationships with key elected officials, and I certainly never intended to negatively impact our own delegation through my private support of a friend. I am in the process of calling each member of the Oklahoma delegation today, and expressing my apologies for these actions,” Neal said. Unresolved at this writing is how a letter from Mike Neal could go out on Chamber stationary with his signature and chamber title if this was just Neal’s personal First Amendment effort to raise money for a friend. The event is to be held at Kathy Taylor’s home according to media reports. 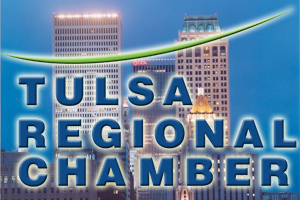 The Chamber Communications office has been contacted by Tulsa Today for additional comment. As they respond, we will add additional information. This entry was posted in Local on August 25, 2014 by admin.